From babies right through to adults, children learn through all their senses, including touch, taste and smell. 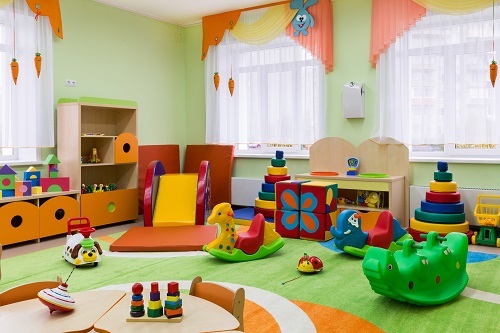 They are also massive visual learners, with studies showing colours and pictures increase learning and comprehension. 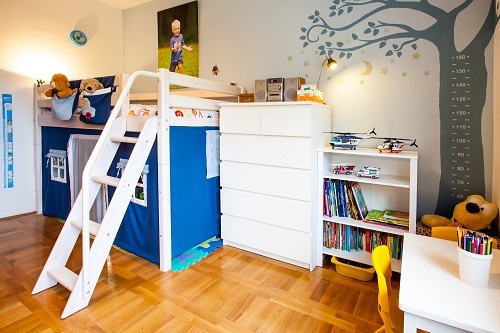 This is why it is great to design your child’s bedroom or study area, with learning in mind! 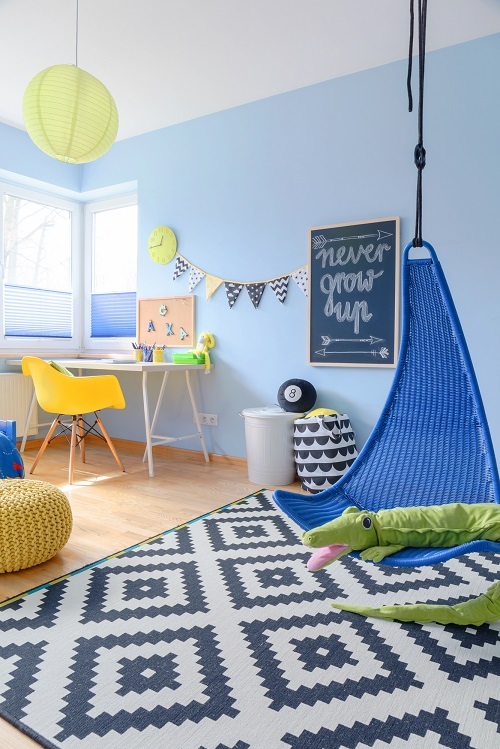 There are plenty of fun ways you can create a practical, visually appealing and comfortable space, to encourage learning, for all ages. There are so many great learning toys for the early years, including spelling and numbered building blocks, rhythm sets, and puzzle sets. Even bath toys can help with learning, we love these bath puzzles and bath crayons to make bath time fun. Help your child learn about the various constellations and planets, with glow in the dark stickers. Whether you use the ceiling or walls, you can create your own little universe, to help them learn about the planets and solar systems. Consider plotting out the nine planets or Southern Cross, or other local famous naked eye patterns. Hanging an analogue clock in your child’s room, can help learning to tell the time and understand when its breakfast time, bed time and so on. Once they get a bit older, combine several clocks with a world map, set to different time zones. If you have a family member in another country or time zone, it’s a great way to understand the way time zones and geography works. Visually having the times tables posters present, can help with learning repetition. Start from the lower times tables, and as they learn, switch them out for the higher ones. You can now purchase blackboard wallpaper, so you can set up a wall or large place for drawing (such as the side of the fridge). Not only will this stop them from drawing on your walls, it’s a great way to inspire creativity – or add a new topic to learn each week. You can very cheaply create a corkboard wall, which can be used to pin homework, study posters or other visual aids. Similar to the blackboard, this is really only limited by their imagination, and can be changed as often as you like. Whether you have space for a dedicated study, or it will be part of their bedroom, it’s great to create a dedicated study area. Have a book shelf, desk and a comfy chairs. Kids like to stretch out, so have a comfy rug, beanbag or snug teepee where they can relax while reading. Make it a haven they are happy to be in, if you let them select the rugs or other items, it will help them gain some ownership over the space. 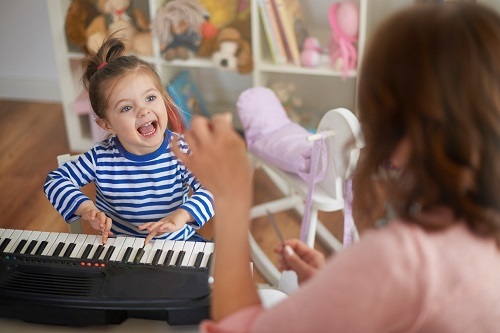 There are many great benefits to learning a musical instrument, from hand/eye coordination, improved memory, listening and comprehension skills. So whether you grab a keyboard or some drums, think about getting your kids into learning a musical instrument! You can now purchase digitally produced wall size posters, designed by you. These can be easily stuck to the wall, to help your child learn anything from the nine planets, to a world map or types of dinosaurs. Or purchase smaller wall decals to decorate the space. 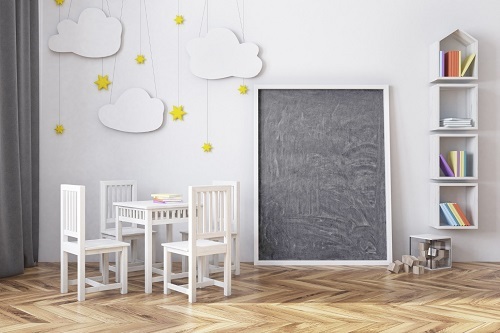 The wallpaper can be removed and changed as your child grows to suit their learning levels. 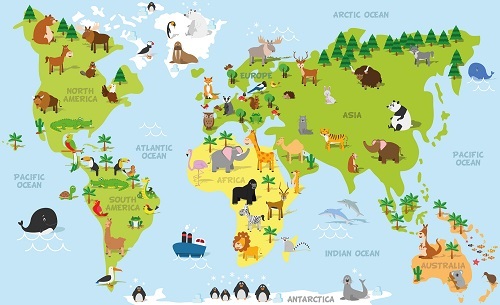 We have a great big world out there, so try to incorporate some different cultures into their learning space. Let them pick out a different country on the map to learn about for the month. Anything simple from a word of the week, in that language, learning to count to ten, or having a traditional meal (which they can help to make) from their chosen country.